470,000: The number of chips PokerStars team pro Luca Pagano started with going into EPT Dublin Main Event Day 4 yesterday. Pagano has been cashing in EPT Main Events since Season 1 and secured his 21st cash on Thursday and he's also the only player remaining who has cashed in three EPT Dublin Main Events. 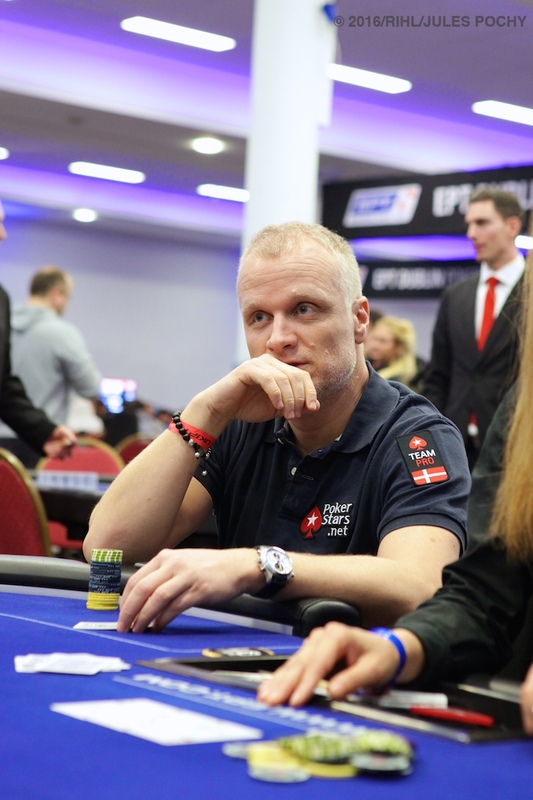 $176,900: Top prize scooped by Vladas Tamasauskas in the UKIPT Dublin Main Event, which came to a finish on Sunday February 14. Tamasauskas beat 1,002 players from 50 countries around the world to win $176,900 of the £135,412 total prize pool. $171,854.75: First prize won by the latest PokerStars Sunday Million champion ‘Sr.Rouquinho’ from Czech Republic. The player topped a field of 5,494 claiming $171,854.75 in prize money from the $531,290 total prize pool. €501,640: Top prize won by Mustapha Kanit from the Italy in the EPT12 €25,000 High Roller in Dublin on Sunday. Kanit topped a field of 58 players to take home the title and €501,640 from the total €971,940 total prize pool. $50,000: The amount in prizes up for grabs with the FTOPS Jackpot– the ticket to the big one: FTOPS XXIX running from Monday, February 15th through 12:00 ET on Saturday, March 12th. 46: The number of events running over 22 days of huge FTOPS XXIX action with over $1M guaranteed from this Sunday through Sunday, March 13th.In addition to great tournaments and wide-ranging buy-ins, the revamped series welcomes extra additions to the flagship poker festival, including: Golden Parachute, FTOPS Free Pass, Leaderboard and Bonus Prizes. 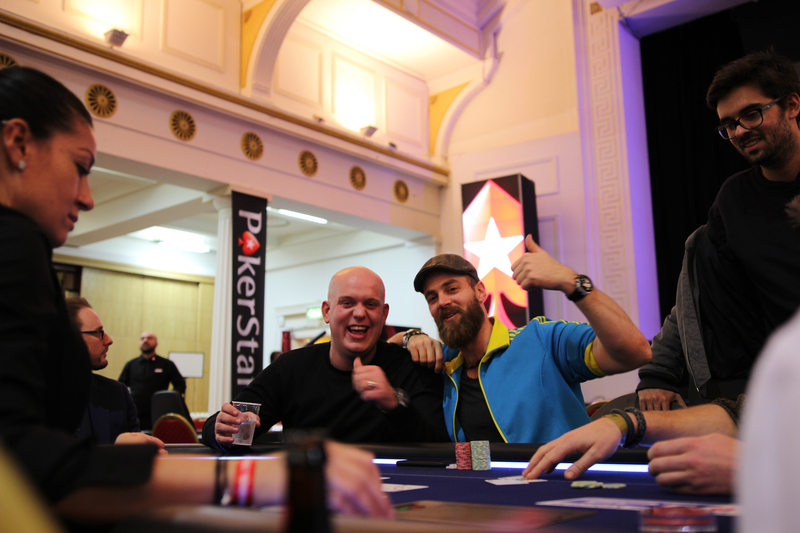 As part of the EPT Dublin tournament schedule, PokerStars' corporate giving programme Helping Hands hosted a poker tournament to raise money for charity. Forty players took part, including members of Team PokerStars Pro, as well as snooker legend Ken Doherty. The tournament raised €10,600 for Right To Play, which is a global organisation that uses the educational power of sports, games and play to provide disadvantaged children and young people in over 20 countries around the world with learning, health and social skills to overcome the effects of poverty, disease and war. The EPT Dublin Poker Festival is in full swing and this week saw Dutch professional darts player Michael van Gerwen, take to the EPT felt for some cash games. The EPT Dublin Main Event is being streamed live on PokerStars.tv. Watch the live coverage daily from 12.00 GMT, with a cards-up final table on Feb 20 from 14.00 GMT.